"It is what it is," multitudes echo regarding the 2016 presidential election. Is it? As three debates get underway and the clock is fast approaching the "two-minute warning" of this unprecedented presidential campaign season, should we succumb to resignation or sharpen our focus, prayerfully assess the situation and move forward in faith that God is hearing our cries and guiding us in discerning who should get our vote for president of the United States? I choose the latter. It is not what it is; it becomes what we make it. Remember Derek Prince's classic book, Shaping History Through Prayer and Fasting? 79-year-old prophetic evangelist and seasoned Bible teacher Kenneth Copeland cautions us, "Tell my people where ever you go—those who vote for politicians knowing their immoral policies and illegal acts had better repent. They are partners with those politicians and will be responsible for every baby's death." As a 40-year board member of Intercessors for America national prayer ministry, author, cultural commentator for news services and vocational minister with 44 years of experience, I've prayerfully and thoughtfully made my decision. I don't speak for any church or ministry; I simply share my perspective to hopefully help others who are in a quandary and still searching for answers. For over a year we've watched our political process bring us to this point. President Obama, for whom I've prayed every single day, will leave office. I respectfully opine that he will go down as one of the most-liked presidents (because of the emotional and historic nature of being the first black in office), yet one of our worst chief executives because of the polarization and devastation he leaves upon his departure. Now the time has come for the mantle to be passed on to a new commander-in-chief. Both presidential candidates stand before us on the stage, personalities and flaws notwithstanding. We basically have two choices and must choose one. You may want filet mignon in a restaurant but if your server says they're out, it's either ribeye or hamburger. Which will you choose? There is no perfect political candidate. There's only one who fits that description. On our front lawn we have a red, white and blue campaign sign that says in bold letters "Elect Jesus" (I'm not kidding)—but He's not running! Decision magazine's cover shows both candidates facing off saying they represent two visions for America. That's an understatement! 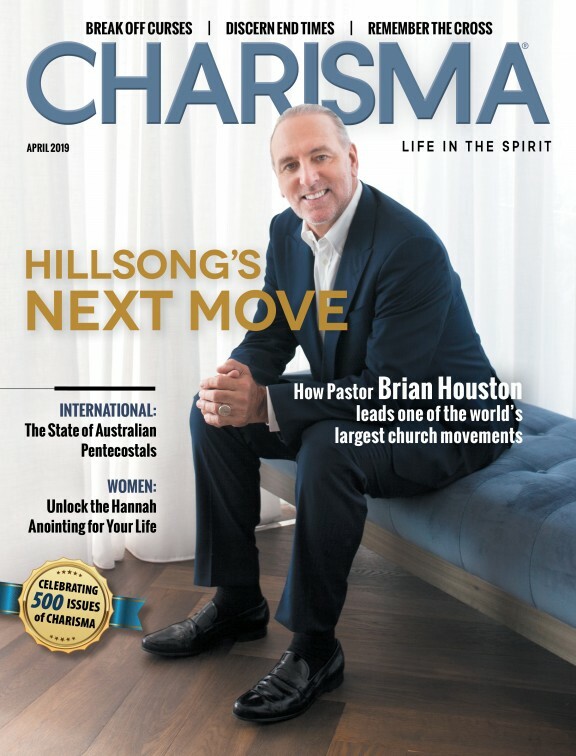 Charisma magazine features the Republican presidential and vice-presidential candidates and asks, "Can They Make America Great Again?" Peggy Noonan wrote in the Wall Street Journal that this is "The Year of the Reticent Voter" (9/25/16). "Every four years I ask people if they'll vote, and if they have a sense of how. Every four years they tell me—assertively or shyly, confidently or tentatively. This year is different. I've never seen people so nervous to answer. It's so unlike America, this reticence, even defensiveness. It's as if there's a feeling that to declare who you're for is to invite others to inspect your soul." Peggy continued, "The most arresting sentence of the week came from a sophisticated man friendly with all sides. I asked if he knows what he'll do in November. 'I know exactly,' he said with some spirit. 'I will be one of the 40 million who will deny, the day after the election, that they voted for him [Trump]. But I will.' "
My wife and I won't deny where God has led us. Donald Trump—political outsider, blunt New Yorker, tough businessman and politically incorrect entrepreneur—has our support. We've prayed, fasted, listened, counseled and watched all the candidates closely since last July when we were in Cleveland for the first Republican debate. Months ago, I travelled to New York to be part of a thousand leaders who gathered to listen and interact with him. It was a very positive experience for the overwhelming majority who attended. I gave my analysis in my regular "Here's the Deal" commentary. Days ago we returned from Cleveland where, in a church in the morning, over 700 leaders (about 200 were African-Americans) heard the GOP presidential nominee, his running mate Gov. Mike Pence, Dr. Ben Carson and an amazingly articulate Don King. In the evening, at another church, I equipped a hundred leaders with the Bullseye Challenge in preparation for the coming election. Days ago I applauded Senator Ted Cruz's endorsement of Donald Trump (Ted was my first choice) because he demonstrated true humility in seeking counsel, praying earnestly and honoring his commitment made in the primaries to support the Republican candidate. My prayer is that all 18 Republican candidates who made this pledge will be people of their word and get behind the Trump/Pence ticket. I've watched Donald Trump's transformation, especially over the past few months, because of his association with Mike Pence—an exemplary Christian statesman—and senior leaders like Franklin Graham, Dr. James Dobson, James Robison, Ben Carson, Tony Perkins and brilliant strategists of the Heritage Foundation. Mr. Trump may not have convinced all in the Christian community but I appeal with my friend Lance Wallnau: "In their period of time, neither Winston Churchill nor Abraham Lincoln was the darling of revivalists or evangelicals." The prophet Jeremiah saw the moral decay of his day as we see today and he asked, "Can the Ethiopian change his skin or the leopard his spots?" He went on to address those "who are accustomed to doing evil" (Jer. 13:23). I once had a secretarial assistant who knew the Clintons, especially Bill, up close in Arkansas. The first-hand report was not good. When I cautioned her about believing gossip, she communicated emphatically that she knew what she was speaking of from her time working there in Arkansas. For over 30 years, we've watched the ongoing scandals and corrupt activity of Bill and Hillary Clinton. I believe they are "accustomed to doing evil." Apart from a genuine conversion experience, the "leopard can't change his spots." I for one don't want this unrighteousness back in the Oval Office. Back in 2008, then-candidate Barack Obama said these words about Mrs. Clinton: "She will say anything and change nothing. Hillary can't be trusted and isn't qualified to be president." Of course, now with his legacy at stake, he's conveniently changed his tune, even implying it would be insult to him if she were not elected! 1. Abortion will become casual, commonplace and covered by tax dollars. Her party platform is committed to repealing the long-standing Hyde Amendment, forbidding taxpayer funding of abortion. 2. She'll appoint up to three liberal Supreme Court Justices, negatively impacting America for decades. This affects sanctity of life, sanctity of marriage, religious liberties, gun control and beyond. 3. Her misguided, reckless, socialistic spending will likely collapse our fragile economy with our $20 trillion debt. 4. She will dramatically exacerbate the threat to our national security and immigration problem via amnesty, open borders, full work permits, full benefits leading to voting rights, support for "sanctuary cities" and 500% increase in Syrian refugees. 5. Her track record of dishonesty, deceit and scandals will further erode America's moral character at a time when we desperately need a spiritual turnaround. 6. She will facilitate legalization of drugs in line with the official platform of her party: "We encourage the federal government to remove marijuana from its list as a Class 1 Federal Controlled Substance, providing a reasoned pathway for future legalization." 7. She will continue to make reckless decisions with Bill to enrich themselves due to a perceived obsession with accumulating power and wealth. The majority of Americans don't trust Hillary and view her as dishonest. Her and Bill's financial disclosure for 2001–12 was $136.5 million; their Clinton Foundation continues under scrutiny because of suspicious activity when Hillary was secretary of state. She's lived in mansions and has been chauffeured in limousines most of her life. She hasn't driven a car in over 20 years. Her track record is riddled with scandals and cover-ups for decades. She's calculating, temperamental, ruthless, manipulative and struggles with numerous, concealed health problems. Hillary did her college thesis on the radical socialist, Saul Alinsky, one of Barack Obama's heroes, whose book Rules for Radicals was dedicated to Lucifer. It promotes manipulating the masses to achieve goals. Just as San Francisco 49ers' quarterback, Colin Kaepernick, has now become the most disliked player in the NFL as people have observed him, the more people see and hear Clinton up close, the more they'll dislike her behind the cleverly crafted image. With Trump, what you see is what you get. And over the past months there has been a noticeable transformation in his demeanor and behavior. Could it be our prayers are being answered for a more righteous leader in this time of civilization and moral crisis? John F. Kennedy once said, "Mothers want all their sons to be president, but they don't want them to become politicians in the process." Being brutally honest, Hillary has become not only that politician, but a very corrupt one who could once again occupy the White House. Donald Trump is not your typical career politician! He believes America is capable of so much more. The needless suffering we've been experiencing is unnecessary and can be changed if we turn back to God and our Founders' vision of opportunity for all. Here's the deal: I could never pull the lever for Hillary Clinton and what she and her dangerously "progressive" and increasingly socialistic party have tragically become. Come November 8, I can in faith cast my vote for Mr. Trump, as I continue to pray for God to be merciful and bless these United States of America.